Starting out, the concept makes sure to address the fact that Apple is putting some features on hold to place more focus on stability and performance in iOS 12. But in the next breath, it presents the idea that all new features haven’t been abandoned. Starting out with the Home screen, this concept imagines how clean iOS 12 would be without app names. As the for Lock screen, users would be able to swipe down from the notch for weather and more. Speaking of the Lock screen, the concept addresses a popular request to remove the swipe up requirement to unlock iPhone X and go to the Home screen. It also adds the option for users to lock specific apps. Another common request is for a better way to manage volume control on iOS. This concept introduces Sound Bar as “a better way to change the volume”. There’s not a whole lot of detail to this except an interface that looks like it could be activated from the left or right ear of the display. One of the few frustrations with Face ID is the fact that it doesn’t support more than one user, unlike Touch ID. A new Guest Mode solves this problem and would be handy for everyday use as well as in emergency situations. This is a sharp idea on where Apple could move from the current multitasker. It looks to use 3D Touch and swiping gestures to invoke the switcher and is reminiscent of the UI when selecting a second app on iPad when using Split View. The concept addresses a whole lot of other user requests as well. While it’s fun to see them beautifully imagined, it’s highly unlikely we’ll see anywhere near this amount of new features with iOS 12. 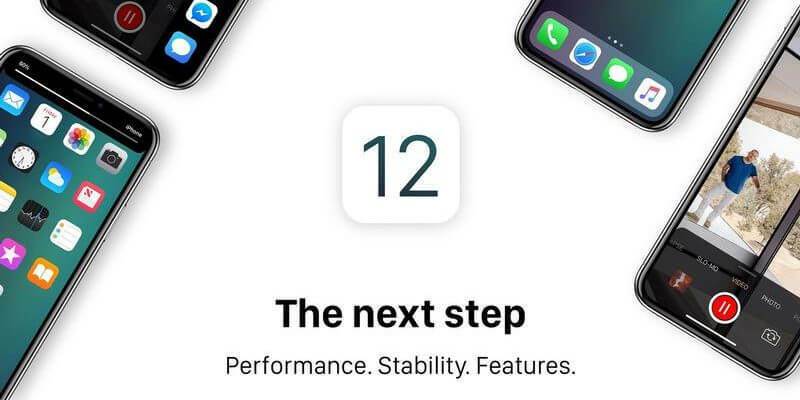 Especially considering the recent rumor that Apple will be focusing on performance enhancements and stability in iOS 12. But in any case, the concept shows off: an updated FaceTime with a dark theme and support for group calls, a new Split-View coming to iPhone, updates to Safari with pinned tabs (or fast links as it calls them), multiple timers, a system-wide dark mode, a major camera app update, a notifications refresh, new customization for notification dots, and more. Be sure to check out the full concept from iOS News And More on Behance.